The 7509 Data Entry Monitor Arm and Keyboard Tray is a remarkably flexible data entry monitor mount that also features a keyboard tray that can be folded flat when not in use and a slide-out mouse tray that accommodates left- or right-hand users. 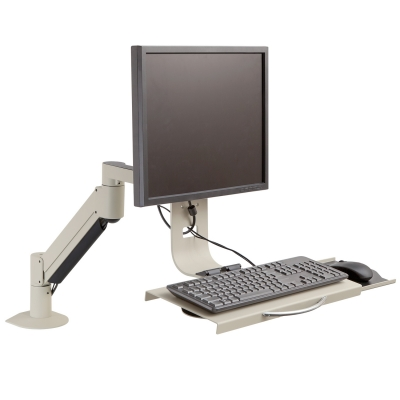 Model 7509 is the right choice for space-sensitive environments where the computer is accessed by multiple users in a standing position. 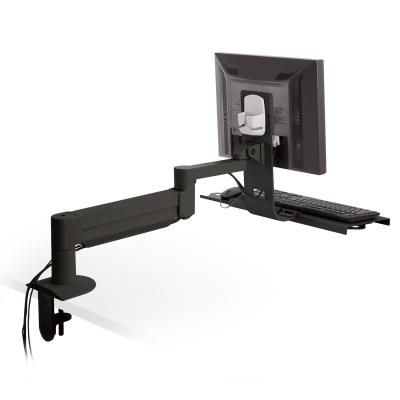 Medical, dental, retail, and manufacturing environments will find the 7509 Data Entry Monitor Arm and Keyboard Tray an ideal solution.